This power supply will convert 240VAC input to 15V DC 600mA output -Center Negative. - This plug is used mostly in Australia, New Zealand, Papua New Guinea and Argentina. 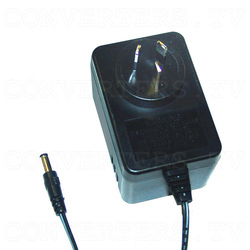 This power supply will convert 240VAC input to 15V DC 600mA output -Center Negative. This plug is used mostly in Australia, New Zealand, Papua New Guinea and Argentina.